evilflea: New T-Shirts! "Fish Versus Kong"
Another new t-shirt design, following in the B-Movie footsteps of the aliens. 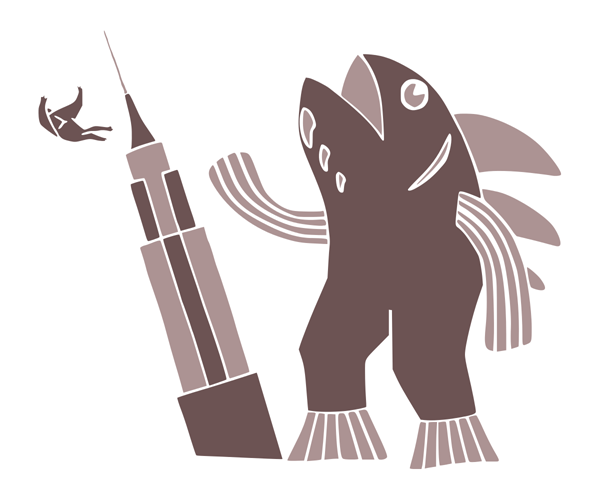 My new creation, imaginatively christened "Fishzilla", knocks King Kong off his perch. By which I mean the Empire State Building, not a fish. Link of the Day: Where did that come from?